My 42nd stacked Moon is another Supermoon from yesterday, the last one of this season. 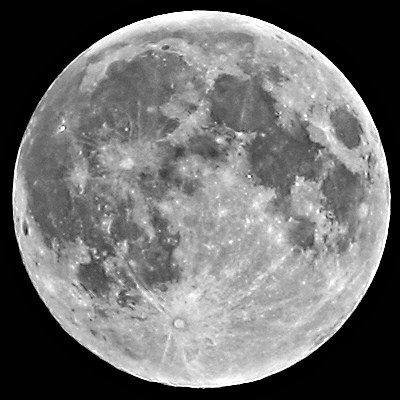 About 15 frames combined with RegiStax and processed a bit more to bring out some more details. More resolution isn’t possible with my Powershot S5, but I still try to get something out of it :-).